I always think it’s interesting to look at the blog posts that are most popular on my site, especially over time. It is no surprise to me that the most highly clicked-on post that I have ever written was also one of the very first: My Top 10 Courses in the State of Wisconsin. This post, which debuted on August 6, 2011, has been updated throughout the years to always stay relevant. Interestingly, it did not change much this year as I played very few public courses. A goal of mine for 2014 is to start up a similar ongoing “Top 10” list for Wisconsin’s private country clubs (this will obviously take some help). Why would this be the most popular post all-time? The fact that it’s been posted for longer than 137 out of the other 138 posts on my blog might contribute slightly, but my guess is that it has more to do with search engine optimization and the words people will put in to Google, Yahoo, Bing, etc: “Wisconsin top ten golf courses,” for example, has been an awfully popular route. The second most popular post in the history of my blog was my review of The National Course at Fox Hills, in Mishicot. The National is a very interesting links-style course that a lot of people in our area have heard of and seen pictures of, so there is certainly mystique surrounding it in the Milwaukee area. More importantly, though, Fox Hills linked my very positive review of their course to the golf course’s home page – I hope this has been as successful of a marketing tool for them as it has proven to be for my blog! The third most popular blog post that I have written was my review of Erin Hills. No surprise here. 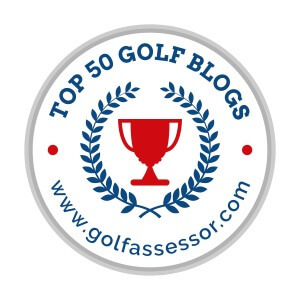 In addition to a similar article that I wrote on the same course experience for GolfWisconsin, over 3,000 people have tuned in to my writing on the 2017 site of the U.S. Open. The fourth most popular article in the history of my blog is one that I would not have expected: “Achievement of One of My Lifetime Goals: Country Club Membership at North Hills.” This was a little blurb I put together about my excitement for joining the club, and the processes that made North Hills the right choice for me. Considering how many people have clicked on this, I hope it has helped others also put together a rudimentary thought process when considering the decision to go private, or continue to hop from public course to public course, paying along the way.